When you have a huge flat screen TV it makes sense to want to display it in a prominent place. TV wall brackets allow you to hang even heavier TVs as well as 3D and curved models on your wall, just like you would a piece of art. If you want the ultimate viewing experience, you need to build your home cinema around an impressive screen. Hanging your screen from the wall will look amazing and make your TV the focal point in any room. Your friends and family will want to watch movies and TV shows with you when you use TV wall brackets and fix your screen to the wall. It’s easy to find the perfect position for your TV and once you’ve found the right place, you can secure your TV to the wall with ease and never have to worry about it again. A TV wall mount is the best solution for keeping your living room tidy, whilst elevating your TV to the best position. Our Sanus tv wall brackets are strong and dependable, so take a look at the entire range and pick out the right ones for you. 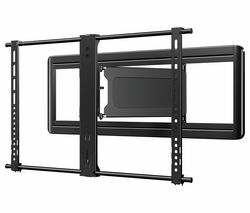 And if you’re jumping the gun and looking for TV wall brackets before you’ve picked out your screen, take a look at our extensive range of televisions right now. 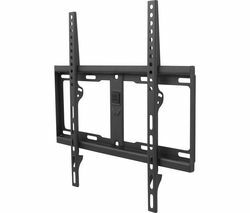 If you’re looking to mount your TV on your wall in its rightful place, TV wall brackets will do the job nicely.